This site is dedicated to providing knowledge and information about ATV’s. We want to share our knowledge and experience with the world. Our focus is on ATV enthusiasts who like to ride trails, work on their ATVs and have a great time doing it. 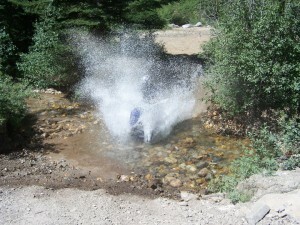 Most trail reviews will be about trails in ATV friendly Utah. This is where I live and ride. My name is Eran Bair. You can email me using the Contact page. I respond to every email and usually try to respond to every comment posted to these pages. I am an online guy I prefer contact electronically thus I don’t post my address or phone number. If you want or need either of those contact me via email or twitter @myatvblog. I do allow guest posts, promotional posts and sponsored review posts. I will be transparent if the post is a paid/sponsored review post. If you would like to do any of these on this blog please contact me and include your idea. I have been riding motorcycles since I was 9 years old. I bought my first ATV in 1984. I have been an addict ever since. 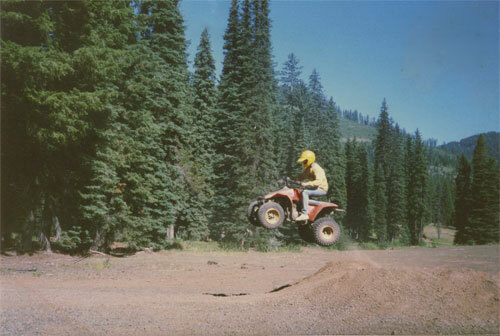 I currently am an IT professional and ATV’s are my hobby. I spent 5 years working as a mechanic in a previous life. Read about my mid-life crises or purchase of my Raptor. My ride is currently a 2007 Yamaha Raptor 700. I run a Mod-Quad intake, a Lexx fuel controller, and DMC Force-4 Dual Exhaust with Maxis Razor 2 tires. My wifes bike is a 2008 Yamaha Grizzly 450.